Recently Sold Properties What's My Property Worth? Tom has been a Realtor® in the Green Bay area for the past decade, selling both commercial and residential real estate properties. 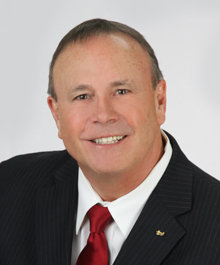 He is a former Senior Commercial Lender in Wisconsin and Florida. As an entrepreneur Tom has had success as a restaurant developer and owner of Franklin's Printing and Office Supply. Tom has been very involved in the local community over the years; serving 6 years on the City Council as an Alderman and has continued to serve on Green Bay's Redevelopment Authority (RDA) for the past decade. Tom graduated from Green Bay East and attended Lakeland College studying Business Administration. He also received an associate degree from NWTC in Applied Sciences (Computer Programing & Accounting).